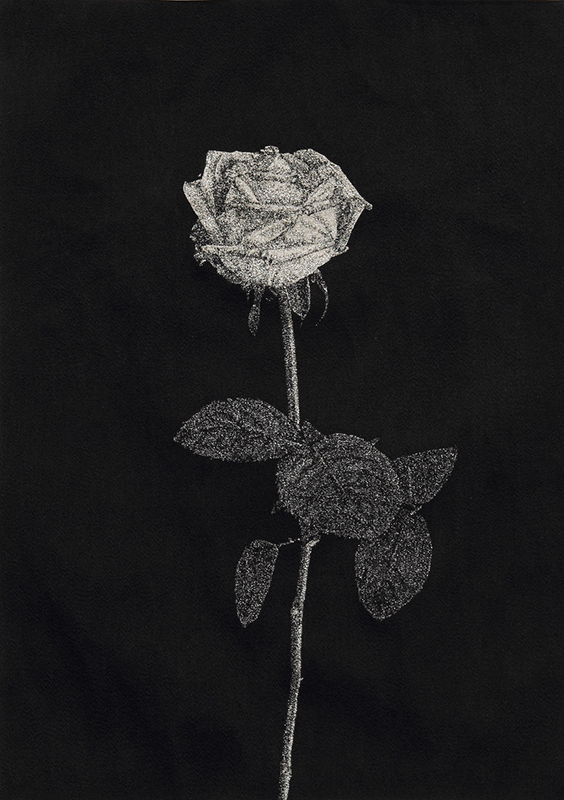 Mizuma Art Gallery is pleased to present AOYAMA Satoru’s solo exhibition “Artists Must Earnestly Make Six Roses in Their Lives” from June 8, 2011. Six red roses embroidered with a sewing machine: this is all there superficially is about this exhibition. This exhibition consists in directly confront the rose’s image as a bearer of multiple symbols, beautiful and stale at the same time. This is a new direction for which the artist opted after his Glitter Pieces series (2008 – ) reflecting Aoyama’s concern for concepts such as “labor” or the dichotomy of notions such as politics and art, manual and mechanical industry, imagination and appropriation among others. By declaring “I will never make roses again in my life as an artist,” Aoyama claims the original romantic intensity of art, but he also questions us about the value and assessment of “the art, or the artist”. Will the artist’s last roses bloom effectively in the present world? Born in 1973 in Tokyo. After graduating with a B.A. degree in textile from the Goldsmiths College’s visual art department in 1998, he earned a M.F.A. from The School of the Art Institute of Chicago in 2001. He actually lives and work in Tokyo. Recent exhibitions include his participation in “Roppongi Crossing 2010: Can There Be Art”, Mori Art Museum (Tokyo), “TWIST AND SHOUT : Contemporary Art from Japan”, Bangkok Art Center (Bangkok, Thailand) , and his solo show “COMPLEX CIRCUIT &#8211; Contact Zone 5 / Satoru AOYAMA”, Gallery αM (Tokyo). During the summer 2011, Aoyama will be part of the second Dojima River Biennale.